Ron Onesti just scored another coup! Next Friday Night, July 3rd, The Arcada Theatre will be broadcasting the Grateful Dead concert LIVE from Soldier Field! This is the last stop on their "Fare Thee Well" Tour and the shows in Chicago have been sold out for MONTHS! (A while back we told you about people who were paying up to $50,000 for a single ticket!!!) The Dead say this is their final tour. 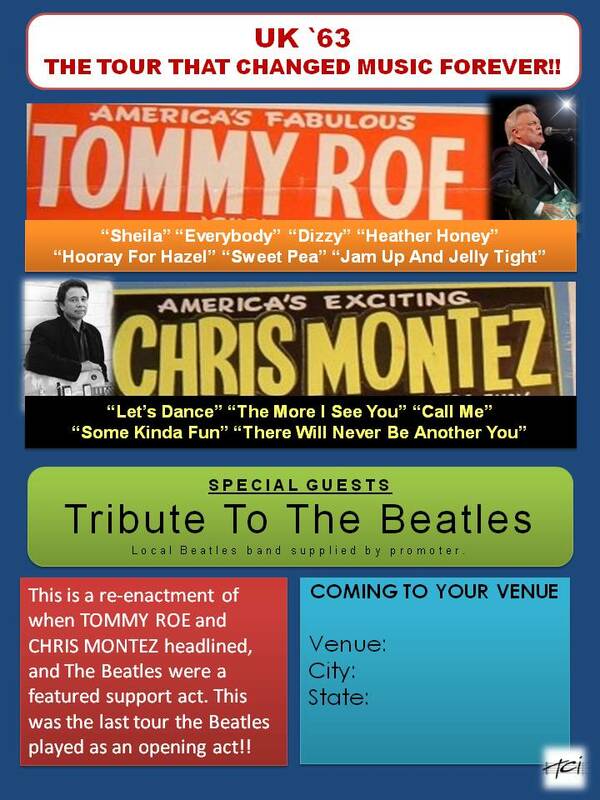 A couple of weeks ago or so we announced the "UK '63" Tour starring Tommy Roe, Chris Montez and a Beatles Tribute Band. 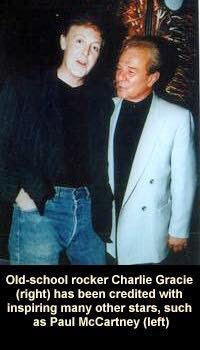 Yesterday FH Reader Frank B mentioned Micky Dolenz's appearance on Scott Shannon's Morning Show over at CBS-FM in New York City. Today we've got more details ... as well as a photograph of the pair! 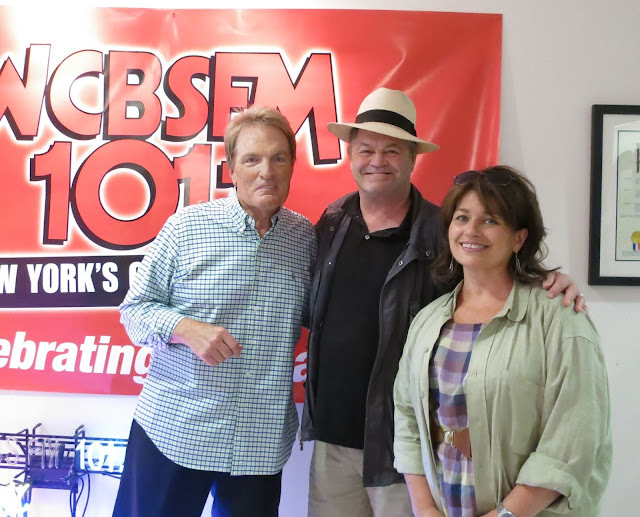 New York - Micky Dolenz, in NYC for rehearsals for his upcoming show (A Little Bit Broadway; A Little Bit Rock 'n Roll) at 54 Below (July 7, 10, 11), visited with CBS-FM's SCOTT SHANNON to talk about the shows and the live album that will be recorded and released this September on Broadway Records. The two conducted an in-depth interview that included details about the 54 Below shows as well as some observations about his upcoming solo shows and the revelation that it was around this month, 50 years ago, that he first answered the ad for what would become The Monkees. Next year marks the 50th Anniversary for the legendary band. They also spoke about his fine-furniture design and manufacturing company, Dolenz And Daughters, which he runs with daughter Georgia. Has the Harry Nilsson bio-documentary been discussed in FH? I saw it for the first time this week and was thoroughly impressed with it. This is the first time I'd heard the story of how Harry wrote "One" when he was listening to a busy signal on the phone. Hey Kent, have you seen Love And Mercy again yet? Four stars all the way for me. We loved it. I had no problem with John Cusack playing the older Brian Wilson. I was amazed at the attention to detail, even down to The Wrecking Crew ... they didn't have to, but they managed to find actors who looked like the real musicians. -- "I lost my sense of humor sometime in the 1960's." -- "The 60's is my favorite time of life." -- "I was working with The Beach Boys, producing and writing songs for them. -- "It was also the time that I tried LSD." -- "In 1965 I wrote 'California Girls' shortly after I did my first acid trip." -- "It expanded my mind a little bit, so I could write better songs." -- "But while it was worth it, I wouldn't take it again." PAUL DANO was born to be Brian Wilson ... he did not even act ... he WAS Brian ... and all that heart came thru. John Cusack did a fine job of acting ... but in my opinion was just too far off physically ... and it came across as an acting job. The emotions of the sessions with The Wrecking Crew were amazing. All in all, I would rather have seen Dano as Brian throughout ... but glad I'm glad I saw it. STANDING BY FOR DETAILS AND INSTRUCTION coming from MARIE WESTON SR., PAUL's personal assistant. So sorry for the delay in getting back to you. Paul will be very happy to receive a copy of the book from you father in Philadelphia. I have copied in Michele Lawley who will be able to organise this for you. 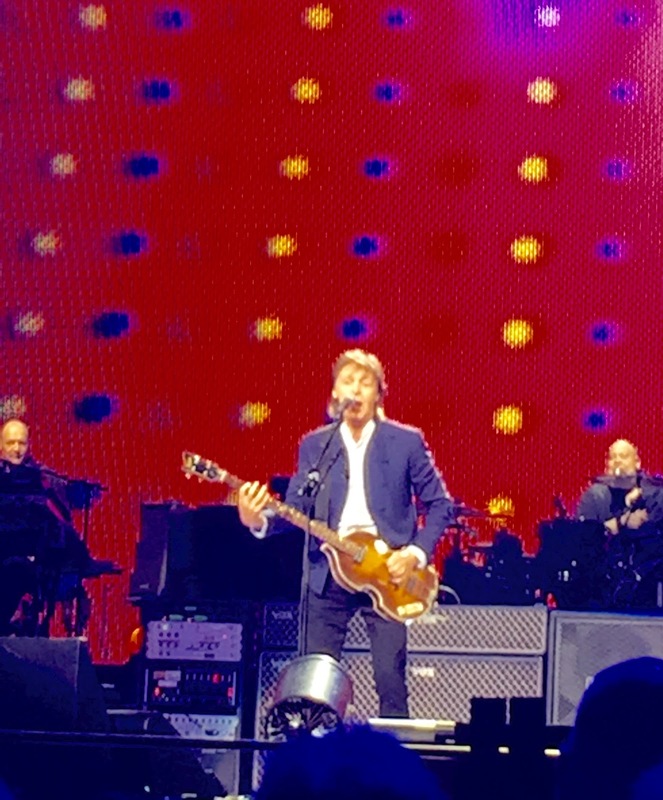 Met SIR PAUL McCARTNEY at his Wells Fargo concert in Philly on Sunday -- where he serenaded my dad, CHARLIE GRACIE -- and sang 'FABULOUS' to him backstage ... AMAZING! This tune was my dad's follow up hit to 'BUTTERFLY.' Paul himself covered it in 2000. PAUL loved the GRACIE autobiography (ROCK AND ROLL'S HIDDEN GIANT) and my father signed it for him! PAUL contributed to the Foreword. He inspected it thoroughly and held it high in several photos. God Bless the man who remembered his roots and took the time to honor the pint sized R&R star from South Philadelphia who was there at the beginning. Here's an oldie but goodie featuring Paul and Charlie. McCartney recorded a version of Charlie Gracie's hit "Fabulous" for his "Run Devil Run" CD a few years ago. Scott Shannon just talked to Micky Dolenz. I'm sure you know that Micky was a DJ on the old WCBS-FM for a year right before they went off the air. Micky told Scott that he wasn't good at doing interviews. He said, "I'd be talking to Ringo about his new CD and thinking I want to talk about MY CD." Micky and Peter Tork will be doing some of those 50th Anniversary shows towards the end of the year. Here's something you might not know ... Micky and his daughter (Georgia) are in the furniture business. When you have "the time" (considering how busy you are), could you do something on THE KINKS!!! What a group! But is it true the Davies Brothers don't get along so they don't tour??? Glad to hear their music used on some commercials!! Happy Fathers Day!!!! Hope you have a Terrific Day!!! Seems as though songs used in commercials and tv shows comes up from time to time in Forgotten Hits so I figured I'd pass this along. We mentioned this show a little while back. STOP, DROP & DOO WOP! The benefits of being a Rock & Roll singer. Isn't that Carl being attacked by a blonde? "Susan" = Recorded - 6/20/ 1967. Speaking of upcoming shows, Jay and the Americans return to Chicago to appear at The Italian Fest on Friday, August 21st, in Addison. The Bronx Wanderers will also be making multiple appearances at this annual festival. Check it out! >>> just finished your online tome on Top 20 Favorite Psychedelic Hits and was truly impressed by the entire piece. The material was thorough, well presented (in its own psychedelic way), and very entertaining. Thank you, Kent. Your e-mail has put a spark under my tail. Please let me know your impressions of the show. You can click onto The Saturday Morning Cartoons link and hear an episode right now. And I have several others to enjoy. I most certainly will throw out a plug in the show when I use material gleaned from your site ... which will be often, I'm sure. This song was a top 10 hit for her on Billboard, but was HUGE in the midwest ... #1 KOMA OKC, #1 KIMN Denver, #6 KLIF Dallas, #3 KMA Shenandoah, Iowa, #2 KNUZ Houston, #2 KLWW Cedar Rapids, Ia. It was even a top 5 record on my personal charts, which is too bad, because I really don't like the song at all today. Also, I asked Dave Hogan, who was a DJ on KSJB a couple of years after this chart, if he could offer any information regarding the popularity of this tune. In 1965, he was on a Grand Island, Nebraska station. I'll let you know if he gets back to me. Bert Koelbl was in the studio with me this past week for an interview. He was a member of Underground Sunshine out of Montello, Wisconsin. I know you have mentioned before about their weak version of Birthday that somehow charted very well. He has some great stories about appearing on American Bandstand, opening for the Beach Boys for a few shows, and having the Byrds as an opening act. One year later they were back to playing bars and high school dances. He has a new cd out and would make for an interesting interview for you sometime. Billy Joel is about to prove he's the top piano man at Madison Square Garden by beating Elton John's record for the most performances there. 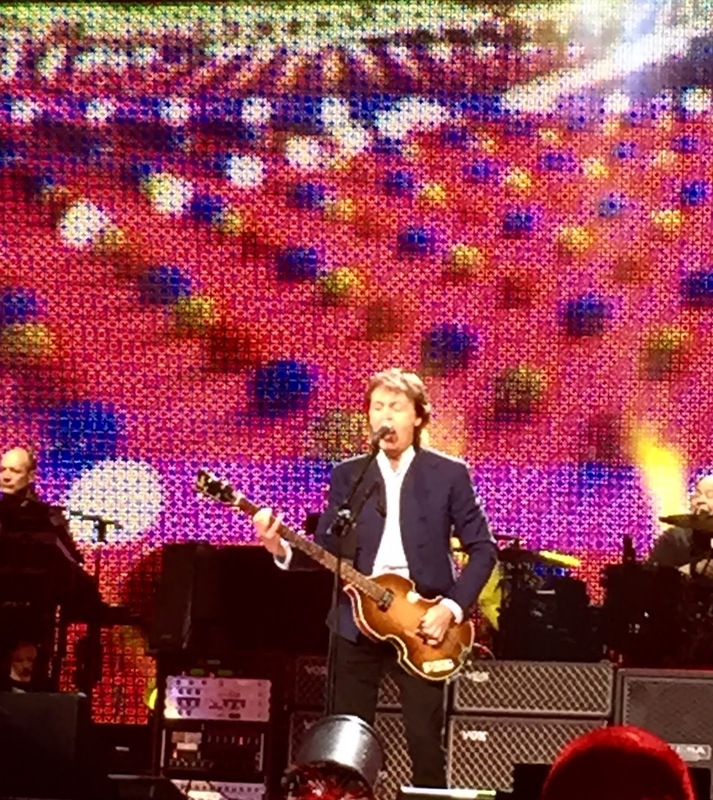 John has played 64 shows at the Garden. Joel will tie that record this month and, on July 1, would surpass him at 65. Joel has been performing at the Garden each month since 2014, and promises to do so as long as fans demand it. My sister went to see Billy Joel last night. She told me his special guest was Richie Sambora of Bon Jovi. I stumbled across your Top 200 Favorite Forgotten B-Sides Page while researching old Milwaukee Summerfest lineups, which are conspicuously absent from any site, blog or other reference I can find. I cut my musical taste 'teeth' on a lot of those shows and am disappointed there isn't a comprehensive list somewhere. But that's a complaint for another time. I absolutely love this list. Easily a third of the list are songs I haven't forgotten! Wasn't #84, Silver Springs replaced by another song, maybe Crystal, at some point? I know the song never made it onto a Fleetwood Mac album until 'The Dance', but I have the 45, and it is probably one of my all time favorite songs. On the ones I don't remember, I'm age - or taste - handicapped, because I don't remember half of the 'A' sides of these, either. I think I'd graduated to LPs by the time the rest came out ... Beatles, Monkees, Jefferson Airplane, America, Queen, Janis, Zeppelin, Byrds, Santana, Buffalo Springfield, Guess Who, the Doors,Three Dog Night, etc. etc. I can't believe none of these songs charted! The most successful poll we ever did in Forgotten Hits was our Favorite, Forgotten B-Sides Poll in 2007. (OMG, has it REALLY been eight years already?!?!?) Over 65,000 votes came in ... and we were able to compile a list of your Top 200 Favorites. As such, I'd have to say it's a pretty accurate poll reflecting the choices of oldies fans from coast to coast. I really enjoyed tuning in on Sunday to hear all of those songs I haven’t heard in forever. I was able to identify every song and its artist, except for “My Grandfather’s Clock.” I tried Google, but came up empty. So I give up. Who did that version? We recently told you about The Rock And Roll Hall Of Fame eliminating SIXTEEN members of its Nominating Committee ... evidently in some not-so-hidden agenda move to further minimize any chance of vintage artists gaining recognition for their work. For over ten years now we've been telling you about the lack of ANY remaining credibility for this organization due to the tight-fisted reign of Jann Wenner. Well, it looks like ol' Jann just got his way again! In fact, you'll find several points previously covered in Forgotten Hits (in our on-going pursuit of Rock And Roll Hall Of Fame justice) mentioned in this piece. I think it's great that a former nominating committee member is willing to speak "on the record" about their own experiences battling the cause to see deserving artists recognized ... and I'm hoping that even more will come forward to expose just what a complete sham this organization really is. As we've seen over the past several years, The Rock And Roll Hall Of Fame has become much more about "the show" ... than the actual achievements of these great artists. There was a purge at the Rock and Roll Hall of fame this week. According to Billboard Magazine, “16 of the 42 nominating committee have been given their walking papers … [including] more than half of the Hall’s Early Rock and R&B Influencers subcommittee.” The article only names four of the 16 members who were dumped, and knowing all four (blues and R&B expert Joe McEwen, label exec Gregg Geller, major record label old hand Arthur Levy and legendary publicist Bob Merlis) it’s pretty obvious to me that they’re deliberately getting rid of those most knowledgeable about early rock and roll. As if this institution — founded and championed and ruled with an iron fist by Rolling Stone boss Jann Wenner — wasn’t a huge enough joke already. I served on the nominating committee for two years, 1992-93, and then was summarily canned after I wrote an article for Billboard on what a sham the whole process is. It seems nothing has changed. Today, the annual awards show, which has become a major production now that HBO produces a much-watched recap of each year’s event, has become the driving force behind selecting who gains admittance. 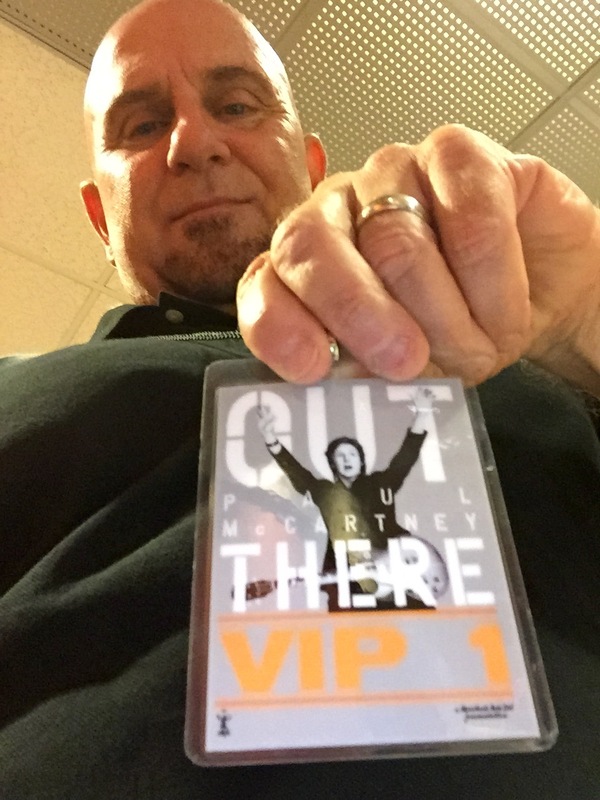 That might explain why Mr. Wenner and Jon Landau, Bruce Springsteen’s manager and the second most powerful influence over the Hall, are bypassing influential acts from the 1960s and 1970s in favor of more recent artists that might “sell some tickets” and attract some viewers. It’s not as though I was stunned to discover that the Hall seems to be putting star power ahead of actual influence and merit. It’s always been about business. When I was on the committee, Sire Records honcho Seymour Stein was trying to get the ’50s vocal group the Moonglows nominated and another Hall exec actually said, “They won’t sell a single ticket to the dinner.” Fortunately — and deservedly — the Moonglows got in. Rock fans have noticed. One friend of mine groused that he was dismayed that “Too many good bands from the ’70s aren’t inducted yet, like Hot Tuna and Jefferson Starship.” Well, he’ll likely see Mariah Carey and Jay Z in there before either of those 1970s bands. After all, the Hall seems already to have passed on many major 1960s / ’70s artists, among them Deep Purple, Gram Parsons, Jethro Tull, the Turtles, Electric Light Orchestra, Link Wray, the Steve Miller Band, Paul Revere and the Raiders, the MC5, T. Rex, Chubby Checker, Chicago, the New York Dolls, the Monkees, Warren Zevon, Tower of Power, Yes and dozens of others. Fans take to Facebook and compile petitions attempting to persuade the nominating committee to recognize one overlooked favorite or another, usually to no avail. Now, with the pruning of the committee, it’s a fair bet most of those favorites will forever be shunned. To be sure, debating who should and should not be in any Hall of Fame is part of its raison d’etre in the first place. Just as Ron Santo and Richie Ashburn have been the subject of years of barroom arguments by baseball fans, debating the Hall-worthiness of best-selling but critically dismissed acts like the Doobie Brothers and the Moody Blues is a perfectly natural and healthy part of the process. That kind of jockeying for one’s own favorites is part of the fun. But one problem with the Rock and Roll Hall of Fame is that there is no consistent criteria, other than the rule that an artist must have recorded for the first time at least 25 years ago before becoming eligible. When I was on the committee, both the Grateful Dead and Jefferson Airplane were being considered. They had me ask the representatives of both groups which members they wanted inducted if they got in. The Airplane’s manager said just the six core members from the 1966-70 era. The Dead said induct everyone who’s ever been in the band or no one at all and that’s what they got, even songwriter Robert Hunter. Some artists have been inducted without their own bands (like Bruce Springsteen) while others got the full band. They make it up as they go along. Years ago, I wrote an article for Billboard about what a sham the whole process is. That story earned me a public lambasting by legendary producer (and now convicted killer) Phil Spector at my second nominating committee meeting. He passed around photocopies and said, “What is this guy even doing here? 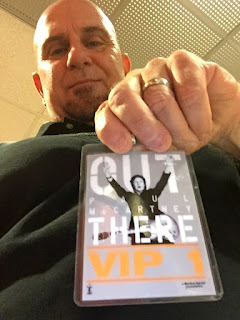 He’s calling us all assholes!” I said, “No, Phil, I’m calling you all hypocrites.” Afterward he came over and put his arm around me and said, “You know I was just kidding, right?” I wasn’t so sure he was but I didn’t need to worry — I was kicked off the committee after that. When the late heartthrob Davy Jones was asked about the failure of the Monkees to gain admittance, he responded to the effect that if the Hall had any relevance they would not have built it in Ohio. That’s a good line, but the actual Rock and Roll Hall of Fame in Cleveland and the NYC-based nominating committee that decides who gets inducted are two very different entities. A trip to Cleveland is still very much worth the journey, whatever outrageous omissions and process defects there may be. Me: So why did you get into this business? Graham Nash: To get fucked. Jeff Tamarkin was the first editor of CMJ and later served as editor of Relix and Goldmine. He is the author of Got a Revolution! : The Turbulent Flight of Jefferson Airplane and co-author with Howard Kaylan of Shell Shocked: My Life with the Turtles, Flo and Eddie, and Frank Zappa, etc. Great songs, great compilation, great creativity and thought. With father's day coming up this Sunday and the posting of dad songs, I am trying to come up with some that you may or might have missed. For example, Chuck Berry's DEAR DAD from 1964, Commander Cody and his Lost Planet Airmen BEAT ME DADDY EIGHT TO THE BAR, the DADdios GOT A MATCH from 1958, the Rays DADdy COOL from 1957, Gladys Knight DADDY COULD SWEAR (I DECLARE) from 1973, Wayne Newton DADDY DON'T YOU WALK SO FAST from 1973, Johnny Cash DADDY SANG BASS from 1969, Bonnie Lou with DADDY-O from 1955, Shep and the Limelites, DADDY'S HOME from 1961, the Ramblers with FATHER SEBASTION from 1964, and I am saving the best (?) for last. Remember DADDY DADDY (GOT TO GET A PHONE IN MY ROOM) from 1961 by 12 year old at the time Robin Clark on Capitol? This was a top ten record here in OKC when it came out. I thought of another song you probably would never have thought of for your posting on Father's Day. Remember the Poni-Tails FATHER TIME out of 1958 (Yes, they had other records besides BORN TOO LATE)? Eddie Fisher's 1954 song OH, MY PAPA and my favorite song by Ronnie Dove, HAPPY SUMMER DAYS out of 1966. Enjoying the tunes you have posted. You featured Alice Cooper's SCHOOL'S OUT, but don't forget Gary U.S. Bond's tune from 1961 SCHOOL IS OUT. Stop the presses!! I just thought of another one. Fairly big here in OKC back in 1966 and I am talking about the instrumental SUMMER SAMBA by Walter Wanderly. I know you won't be able to post all that you want to. I love doing stuff like this, Kent, when you have special postings of songs on your website. These are just a few songs that I came up with from the top of my head. Until I read about the confusion in the “Love & Mercy” film, I had no idea that no one had previously heard of Al DeLory. My good friend Gary Griffin (Beach Boys’ band, Brian Wilson band, Jan & Dean band) portrays him in the film. The peculiar thing about it was — the night before I went to see the film — I was listening to the Pet Sounds Sessions box … in particular, the session for “I’m Waiting For The Day,” which we see played out in the film, where Al Delory (Gary) says he made a mistake, but Brian loves it, and says to keep it in the song. John Cusack and I are very close in age. I’ve been enjoying his work since 1986’s “One Crazy Summer.” If anyone has an issue about John not looking enough like Brian, or the height of the actors, they wasted their money by going to see the film. Why? They went for the wrong reason. “Love & Mercy” is a loving and caring portrayal of Brian Wilson; it properly offers rare insight to Brian’s mental illness, and his amazing gift of creating one-of-a-kind compositions. There is no other takeaway than that. When I left the theatre, I felt more compassion and sentiment for Brian and The Beach Boys than ever before. And, went home and began listening to more of the music. I’ve been saying it since the day I discovered the music of The Beach Boys … thank God for Brian Wilson. With all this banter about the Beach Boys, I am very grateful that the Dennis Wilson - Charles Manson connection was never mentioned. Been enjoying reading the viewers' reactions to Love and Mercy. One of them mentioned Van Dyke Parks and I was wondering if you had ever covered his work beyond the Beach Boys. I was Production Supervisor on The Billy Crystal Comedy Hour in the 80s when Van was the music supervisor. He was always a kind, sensitive soul and went out of his way to spend time with those who knew his music. I was told that, beyond the Beach Boys, he had had a pretty impressive impact on LA Rock back in the 60s and 70s but, never had a chance to look into it. Thanks. I remember Van Dyke Parks being one of the Warner Brothers Wonder Boys for awhile ... back in the day when the label used to offer those 12" samplers of some of their "non-hit" material by more obscure artists, Parks seemed to show up quite regularly. (Of course at this time Warner was also distributing The Beach Boys' records through their Brother Records banner). I found him to be more of a "cult hero" rather than a mainstream rocker ... his style seemed to lean more toward the avant-garde for me ... an acquired taste at best. It was “The Real Elvis,” an RCA Victor EP (extended play) with four songs … “Don’t Be Cruel,” “Hound Dog,” “I Want You I Need You I Love You” and “My Baby Left Me.” It was 1957 and I bought it in Inglewood, CA. Played it over and over. I can't remember the first 45s I bought. I was still in grade school in the early 60s and, thanks to the influence of my older sister, I loved to listen to the radio. Back then, off the charts hit records could be bought for next to nothing. They were sold 3/$1 at many stores, and I amassed a huge collection of records which I recently donated. I wanted to be a DJ like the ones I heard on the radio. Music always has been a very important element in my life. Now in my 60s, I still listen to oldies on the radio or streaming on Pandora. And next week the new Terminator movie comes out. Tom Hanks follows his very popular "the Sixties" documentary series with "The Seventies", debuting this week on CNN. Everybody ranks it differently. Billboard's Year End Chart showed "Wooly Bully" on top with "Satisfaction" at #3 (behind "I Can't Help Myself" by The Four Tops" and "You've Loost That Lovin' Feelin'" at #5 (behind "You Were On My Mind" by We Five, another record that failed to ever top the charts. Meanwhile, "Downtown" placed at #6 and I always felt that that one belonged right up there with "Satisfaction" near the top ... likewise "My Girl" by The Temptations (#10 on Billboard's Year-End Chart) and "Mr. Tambourine Man" (#25). Other surprises near the top: "Crying In The Chapel" by Elvis Presley (#9), "King Of The Road" by Roger Miller (#12), "The Birds And The Bees" by Jewel Akens (#13), "Hold Me, Thrill Me, Kiss Me" by Mel Carter (#14) and "Shotgun" by Jr. Walker and the All-Stars (#15). Joel Whitburn's book ranks solely by peak position, breaking ties with number of weeks at a record's peak, followed by weeks in the top 10, top 40 and top 100. As such, "Wooly Bully" (which never hit #1) is down at #27 ... and even then isn't the highest ranking record to peak at #2. That distinction belongs to "A Lover's Concerto" by The Toys. Joel's Top Ten (all #1 Records) includes "Satisfaction", "Yesterday" (certainly deserving of a much higher spot in Billboard, too, "Turn! Turn! Turn! ", "Mrs. Brown, You've Got A Lovely Daughter", "I Got You Babe", "Help! ", "I Can't Help Myself","You've Lost That Lovin' Feelin'", "Downtown" and "This Diamond Ring"
So I next went to Dann Isbell's "Ranking The '60's" book, which meticulously lists EVERY record to hit Billboard's Hot 100 Chart that decade ... and then ranks their overall achievement via a point system that treats all records equally. #1 - "Satisfaction" by The Rolling Stones; #2 - "You've Lost That Lovin' Feelin'" by The Righteous Brothers; #3 - "I Can't Help Myself" by The Four Tops; #4 - "Downtown" by Petual Clark; #5 - "Turn! Turn! Turn" by The Byrds; #6 - "Mrs. Brown, You've Got A Lovely Daughter" by Herman's Hermits; #7 - "Yesterday" by The Beatles; #8 - "Help!" by The Beatles; #9 - Stop! In The Name Of Love" by The Supremes and #10 - "Wooly Bully" by Sam the Sham and the Pharaohs. 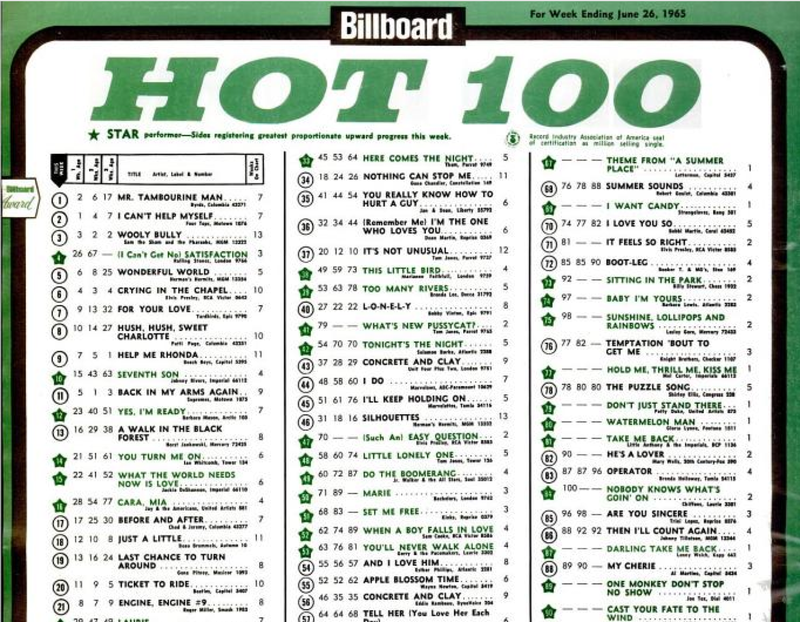 By the way, the Billboard Hot 100 chart was green the week of June 16, 1965 as part of an “Irish Invasion" promotion by London Records (coincidentally the Stone’s label at the time). The releases they were touting elsewhere in that week’s Billboard were “Marie” by The Bachelors from Dublin and “Here Comes The Night” from Belfast's Them (featuring Van Morrison). “Marie" made it up to #15 on the Hot 100 and “Here Comes The Night” peaked at #24. Until the advent of Thin Lizzy, U2, The Pogues and Cranberries that was, pretty much, the extent of the Irish Invasion. Part 1 = Thursday, 6/11/2015, was Scott Shannon's 299th show on WCBS-FM. His Special Guest was the Nelson Twins. 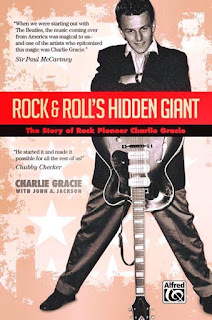 Part 2 = According to Ron Smith's great book "Eight Days A Week," on Thursday, 6/11/1934, The late James "Pookie" Hudson (lead singer of The Spaniels ) was born. If they made a recording with Joe Cocker, they'd be called "The Cocker Spaniels." Hope You Had A Good Day Sunshine! Makes Sense ... School's Out For Summer! A Slightly Different Type of "Father"
We've All Been Down THIS Road Before! It's High Noon ... And Here Comes The Sun! I Guess It's Grandfather's Day, Too! Sounds Like This Guy Coulda Used A Father Figure! Here's A Summer Song For You!